According to NTREIS last year, U.S. consumers seemed to be operating with a renewed but cautious optimism. The stock market was strong, wages were edging upwards and home buying activity was extremely competitive. 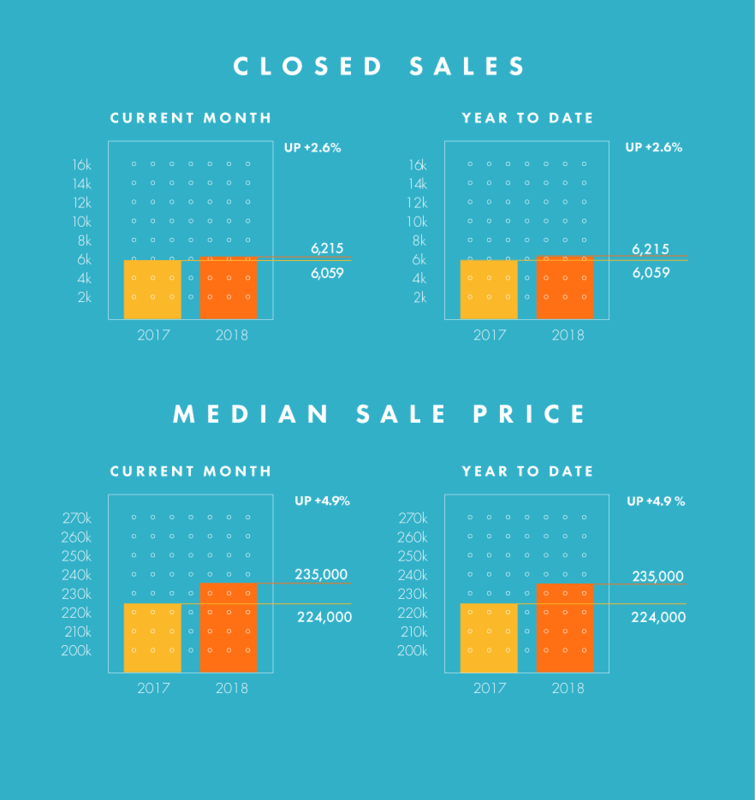 Not much has changed in 2018 in terms of those measures, yet there is a sort of seasoned prudence mixed into the high emotions that go with a major expense like a home purchase. We are now several years deep into a period of rising prices and low inventory. Those in the market to buy a home have caught on. As sellers attempt to take advantage of rising prices, expect buyers to be more selective. New Listings were up in the North Texas region 3.3 percent to 10,685. Pending Sales increased 1.6 percent to 8,193. Inventory shrank 2.6 percent to 20,862 units. Prices moved higher as Median Sales Price was up 4.9 percent to $235,000. Days on Market increased 6.1 percent to 52. Months Supply of Inventory was down 4.3 percent to 2.2 months, indicating that demand increased relative to supply.